Ready For An Upgrade? A Bathroom Remodel Is A Great Place To Start. Design expectations have changed over the past thirty years. What was once considered an upgrade may now be considered standard. Upgrading your bathroom may be essential to staying in your home longer or selling it. That’s why a bathroom remodel is the perfect place to create a modern, sophisticated space worth the investment. Home Improvement Professionals Make The Process Easy. Full-Height Cabinets: Custom or semi-custom cabinetry lines typically have options to add tall linen cabinets to the ends of your vanity. This is a great place to store towels, toilet paper, and all the other stuff you don’t want company to see. Plus, it creates a great built-in look that takes advantage of space not normally used. Comfort Height Toilets: Taller height toilets are an incredibly practical option for almost everyone. These toilets are typically 17” from the floor to the top of the seat and are much easier to get on and off of. Have kids? Don’t be scared- taller toilets are only two inches taller, but worth it in the long run. Steam Showers: Adding a steam shower to your home is a deluxe experience that’s good for your health. If you’re using tile in the shower, get a quote on adding a steam generator to emit steam throughout your shower. It will clean out your pores and relax you like nothing else! Heartland Home Improvements Brings Experienced Carpentry To Your Next Project. No matter the nature of your next remodeling project, the team at Heartland Home Improvements has the skills and expertise to build the space you always wanted. We listen to our clients and formulate a plan to complete their project to the specifications requested. Contact us to learn more! 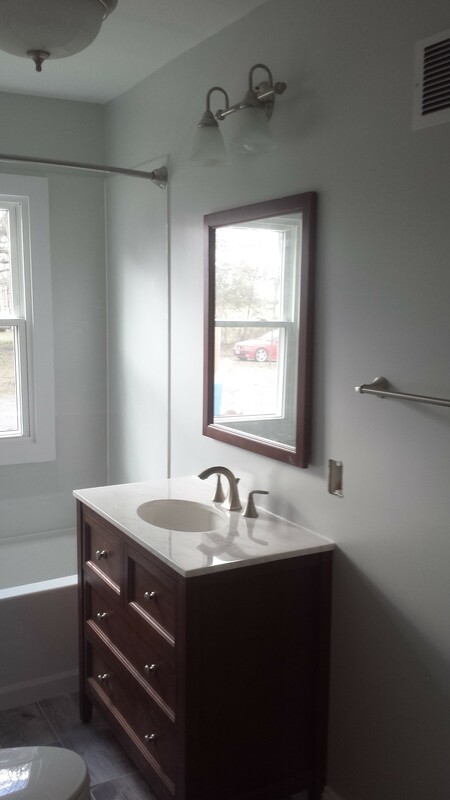 Contact Us To Schedule Your Bathroom Remodel!